You never know when the time will come when have to rent a car in the Romania area. There are times when you need some added space for a family outing. Or when the car ends up in the garage for maintenance or repairs. Before you go out to rent a car, there are a few things to keep in mind for an easy process. Before you make any final reservations, you will need to do a little research. There are always going to be your big name brand dealers as well as smaller independent chains in the area. 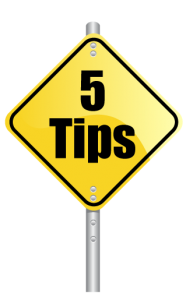 The easiest way to begin your search is to find 3 or four companies that are relatively close to where you need to start or finish from. During you initial call or web search look through the companies requirements to rent a car. These may be simple rules such as making sure the car is returned with a full tank of gas. Or understanding the potential for additional charges when the vehicle has been returned at a date later than expected. One of the big sticky points with car rentals is understanding the insurance. All you have to know is that if your own insurance covers rental there is no need for added coverage. Once you understand all the fine print and find the perfect car it is fine to book it and arrange a pickup time. When you visit the car rental office you will need to bring a few pieces of information with you. The first being your driver’s license, you will not be going far without it. If you plan to deny rental insurance, you will need to have a copy of your own auto insurance. Many rental companies require that you have a valid major credit card. You may be able to pay with your debit card, but the credit card is still a requirement of many agencies. As with any other contract in life it is important to read before you sign. If there is any legal terminology you do not understand, simply ask the representative on duty. Don’t feel as though you are being a difficult customer at all. It is better to understand your contract rather than get hit with a large fee at the conclusion of your contract.